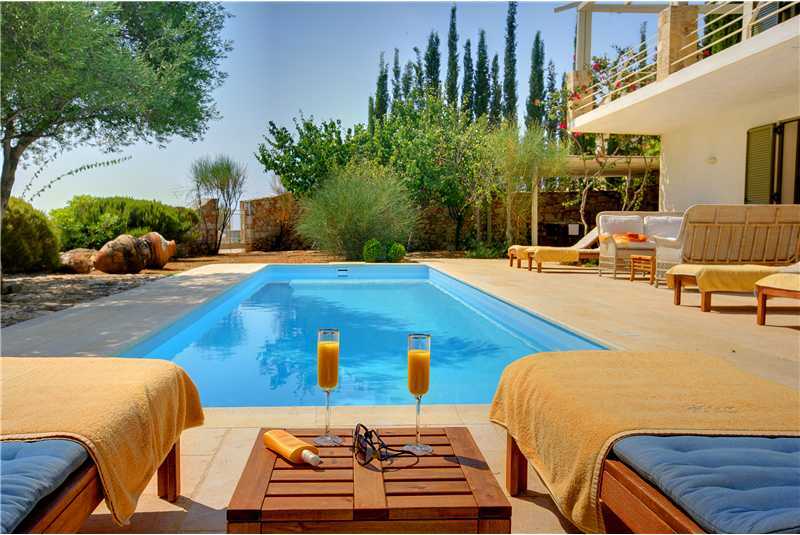 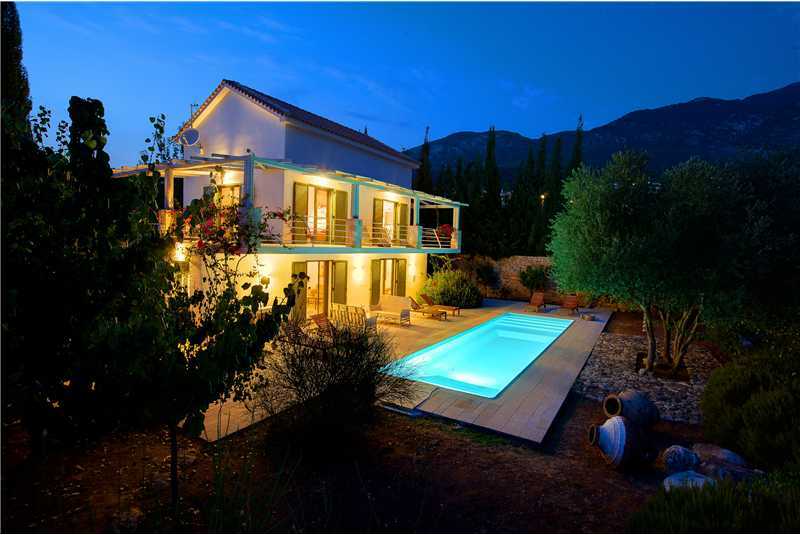 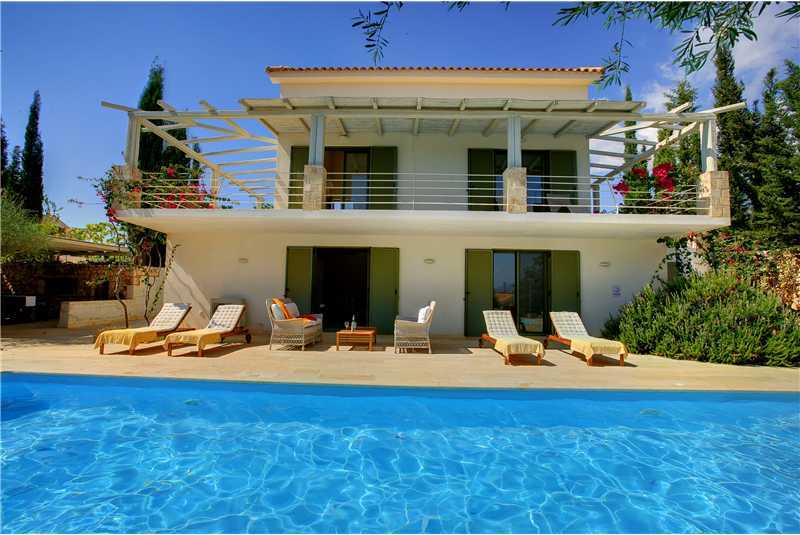 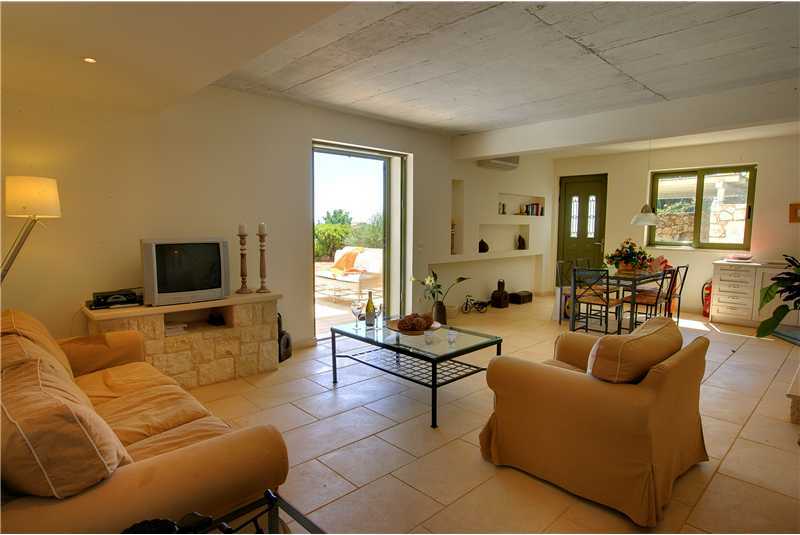 Villa Telina is a modern three bedroom villa with a lovely enclosed swimming pool, close to several beaches, with stunning views over the bay of Trapezaki towards the island of Zante. 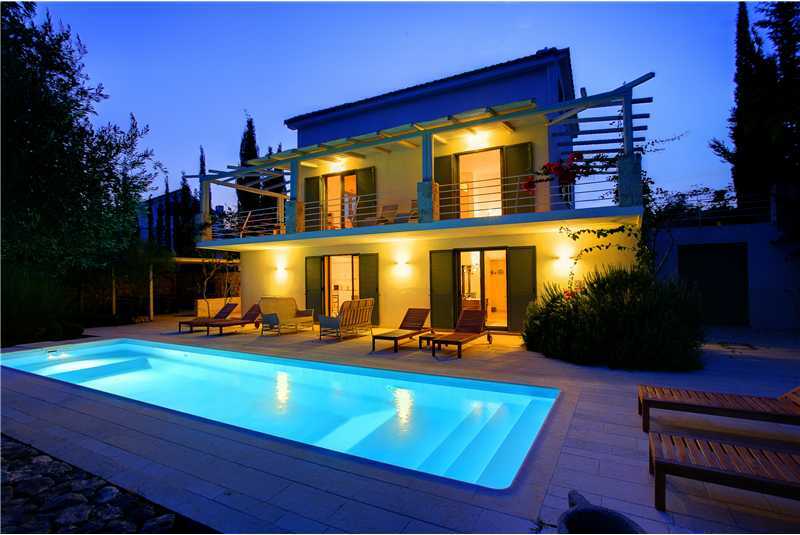 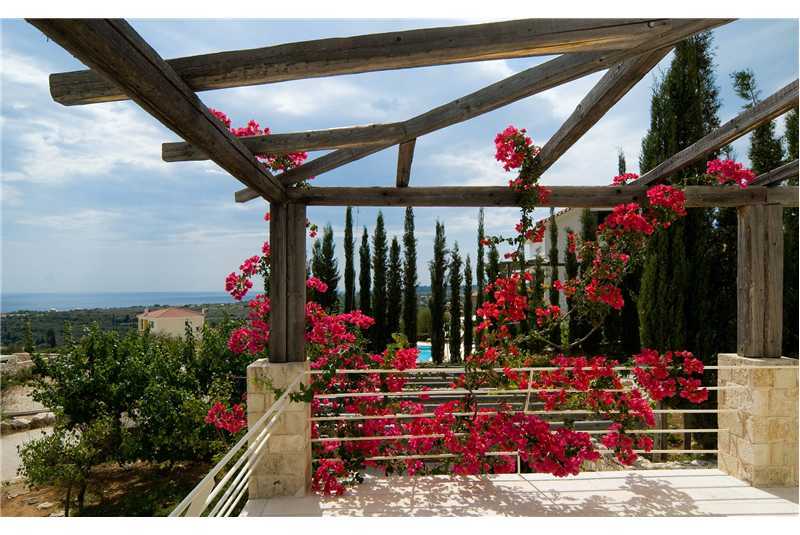 Villa Telina is a superbly designed modern family holiday home set on the lower slopes of Mount Aenos, with spectacular panoramic views over Trapezaki and the Ionian Sea towards Zante. 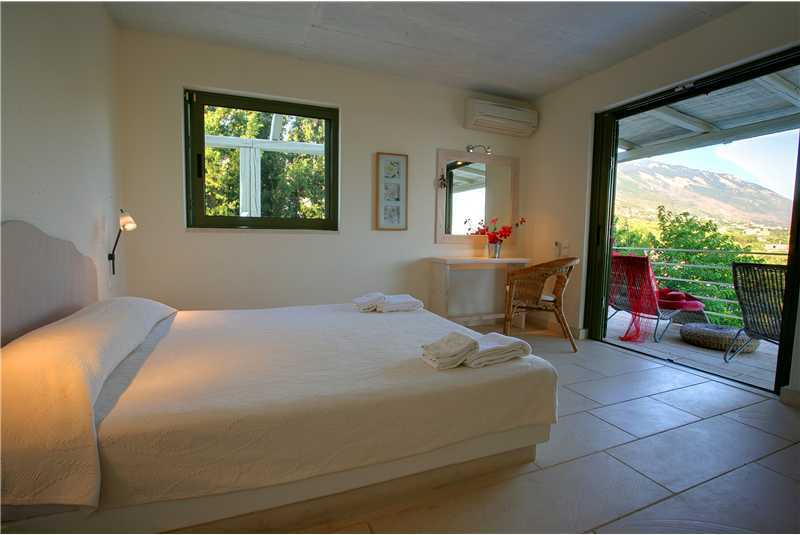 Within two kilometres of Telina you have the unspoilt beaches of Trapezaki, Kanali and Lourdas. 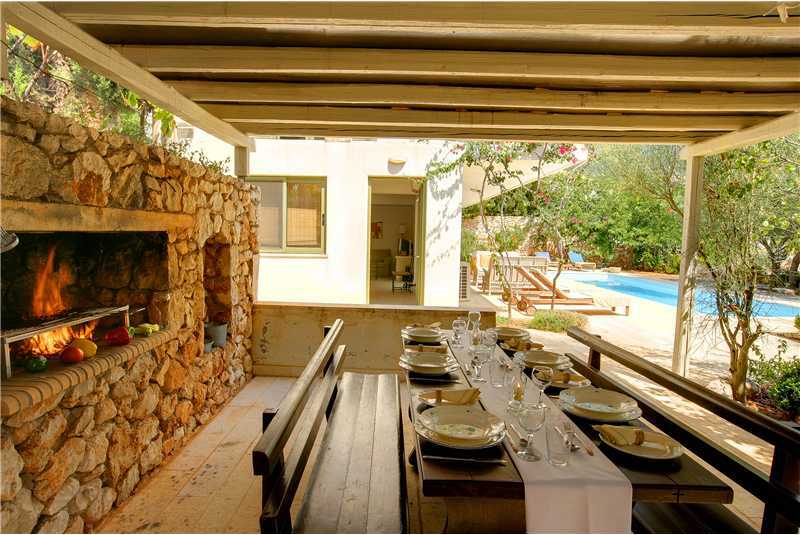 Close by, in Lourdas and Trapezaki there are a number of small shops, mini markets and lots of tavernas offering a variety of local greek cuisine, with many of the restaurants located on the beach. 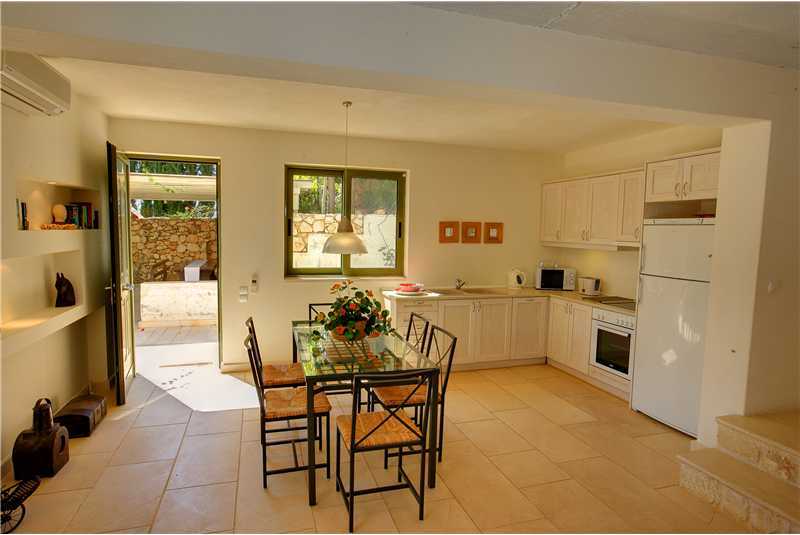 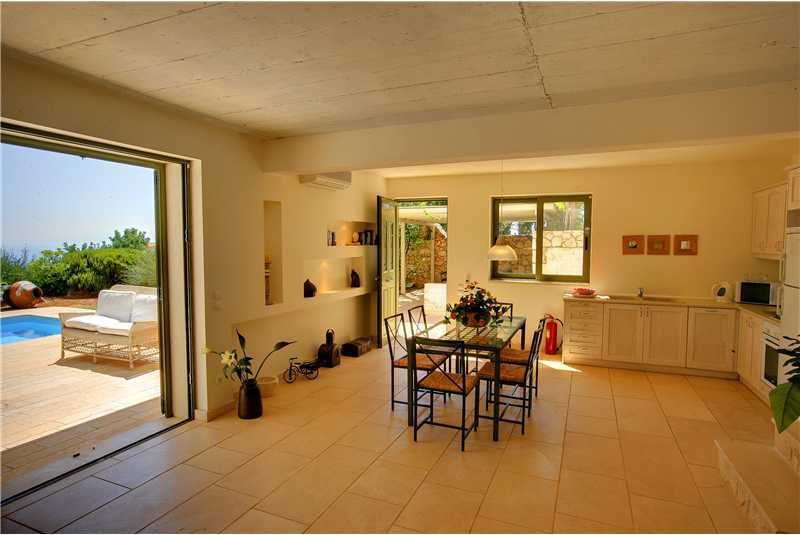 Fully equipped modern kitchen with fridge freezer, expresso coffee maker, microwave, dishwasher and washing machine. 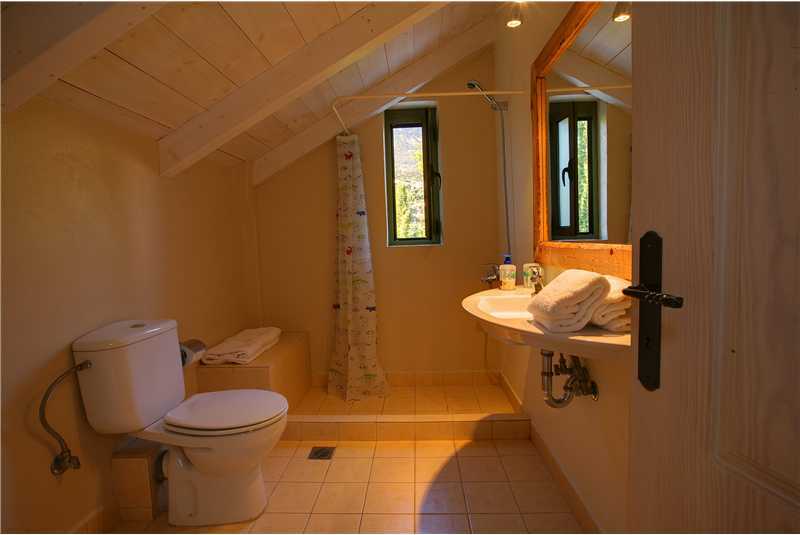 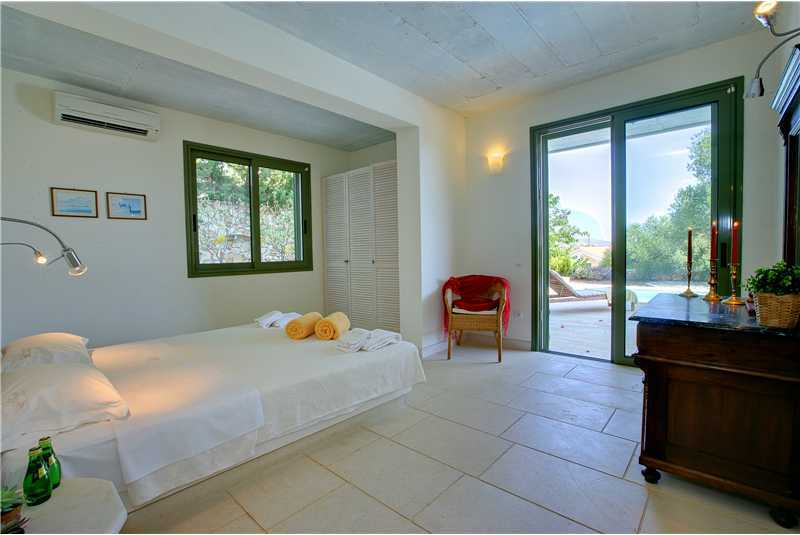 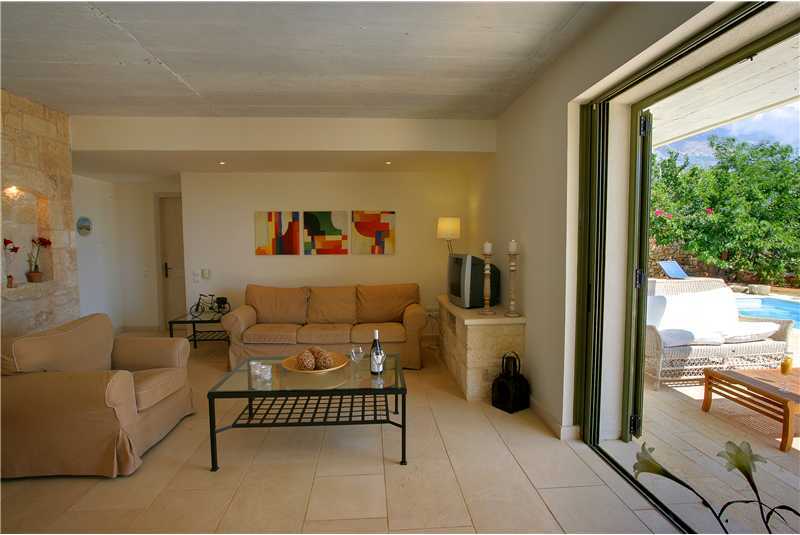 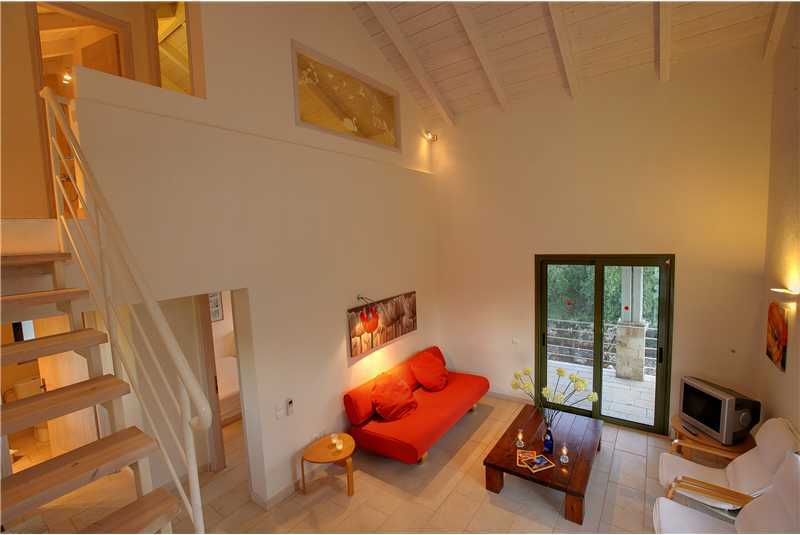 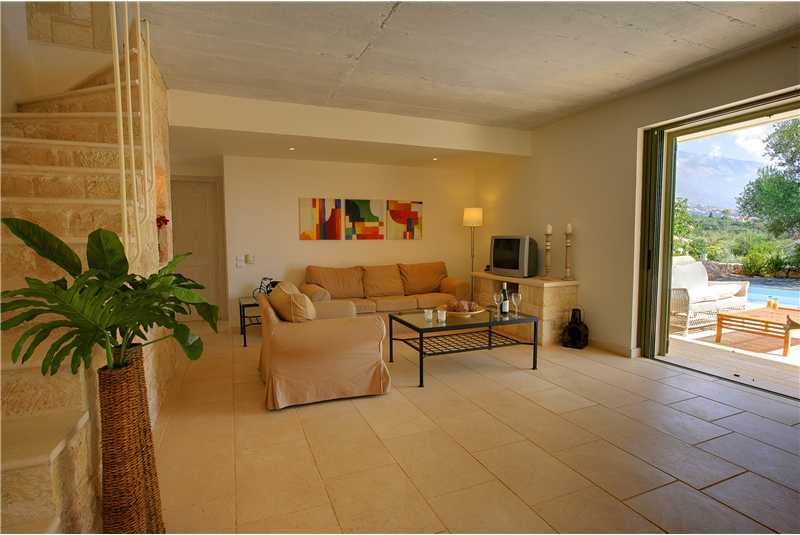 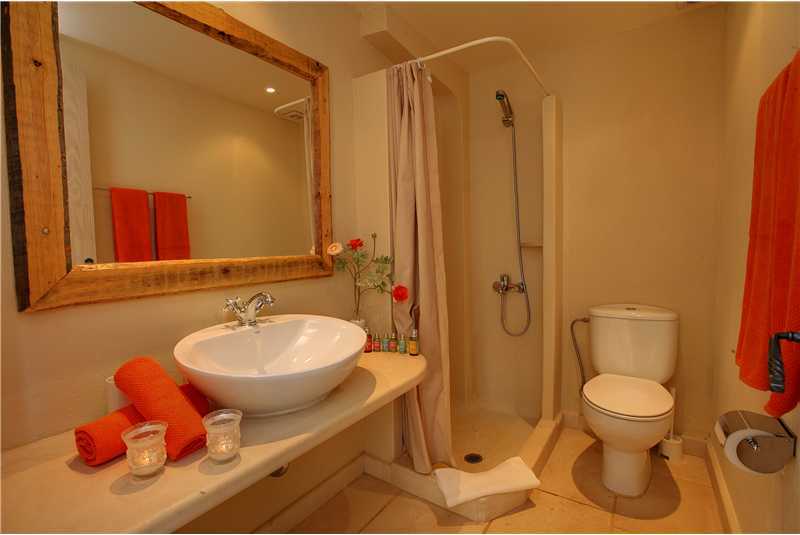 Downstairs double bedroom with access onto the garden and pool area.